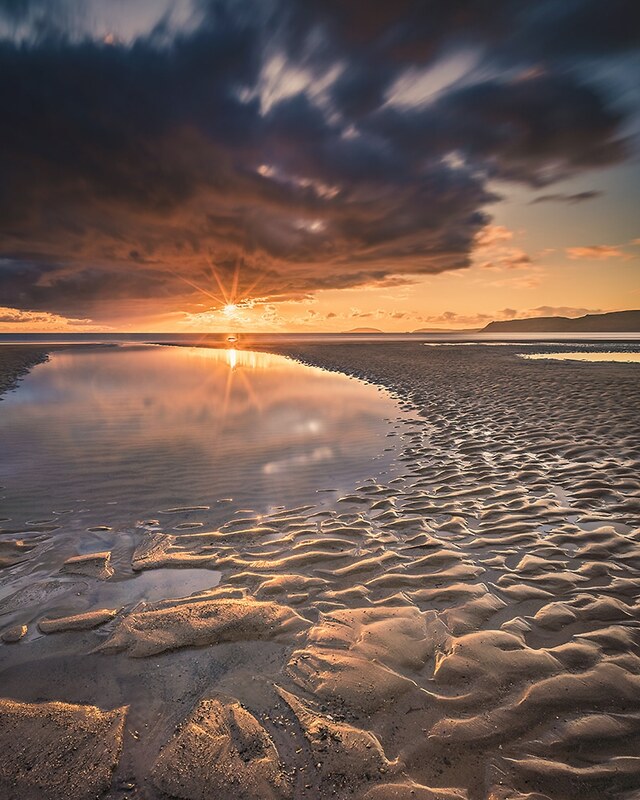 With its stunning scenery, incredible landscapes, unique light, and a coastline that is the envy of the world, it’s no surprise that anybody who spends any time here is inspired to pick up their camera and paint a digital picture of the wonder that lies before them. Like me though I suspect many of them look at the picture and wonder what happened! Which is where our local experts come in. 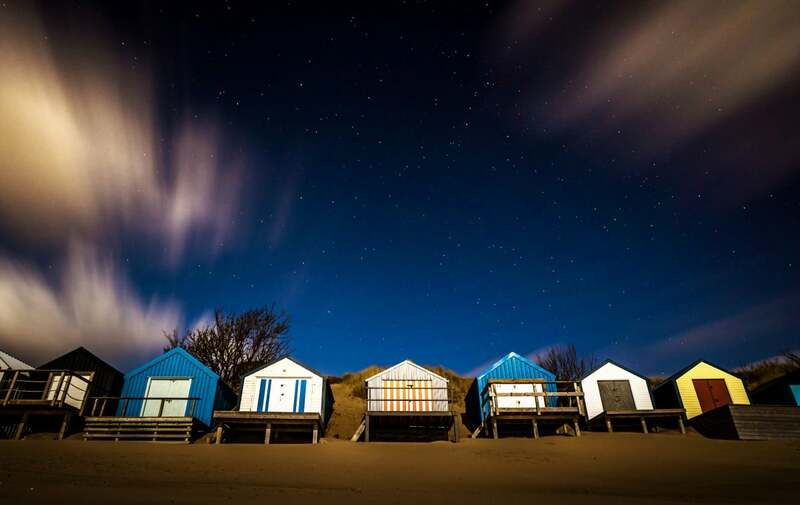 With a number of professional photographers based in and around the village and a growing band of talented enthusiasts capturing the wonder of Abersoch we really are spoilt for choice. AbersochLife.com, our big brother Abersoch Life magazine and related social media, have long been a platform for Abersoch-lovers to soak up a slice of this special part of the world, whether they are based in the village or sat chained to an uninspiring desk hundreds of miles away. Our photo-showcase and feature photography are a major strength of the magazine and a big reason why so many readers love it. 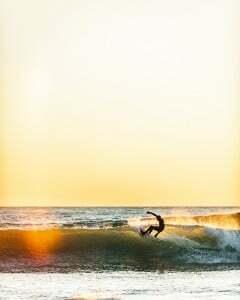 So we thought we would take a look at a some of our local photographers, ask them to tell us a little bit about their story, their, work, their style, their gear and their interests and pick out a few of their own all-time favourite shots for us. 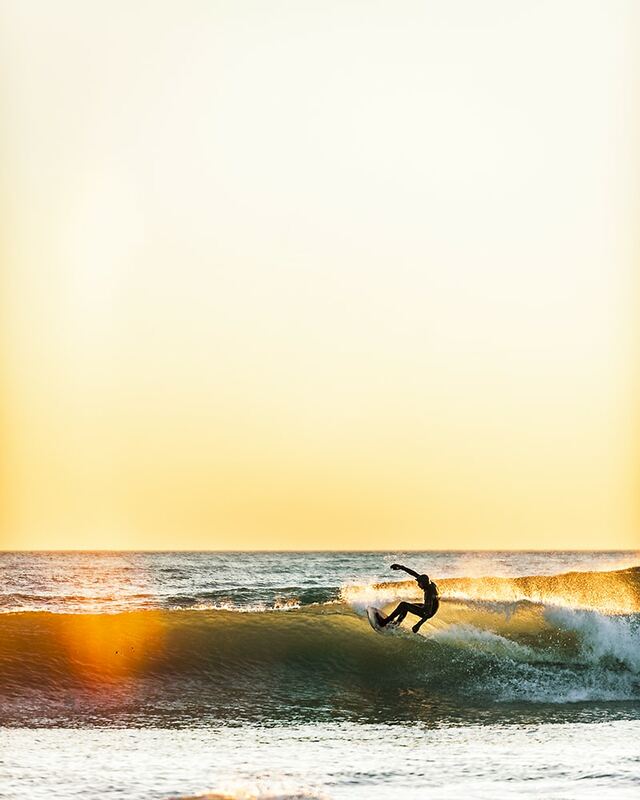 Jack is the man behind the lens of this month’s cover shot. “I am 20 years old and live in Shrewsbury, Shropshire. 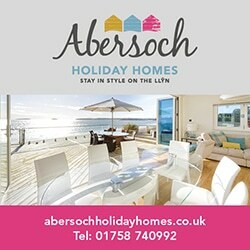 My parents have been taking me to Abersoch ever since I can remember – school holidays, breaks and weekends. Having struggled at school and sixth form with dyslexia and finding classroom life a real challenge, university was not an option for me. Following my education at Prestfelde and Repton school I returned to my hometown of Shrewsbury to complete a one year contract by invitation from Prestfelde, where I worked as a PE assistant, which allowed me to work on the launch and development of my promotional film and editing business model, Darwinmedia. This area of social media is at the forefront of technology and marketing, it is the most effective way to engage with clients and customers and the opportunities really excite me. 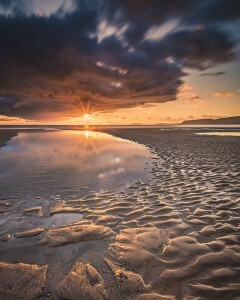 Whilst at sixth form I studied photography and realised I had a flair and passion for being behind the lens. I have worked hard to secure contracts and I continue to build strong client base and customer relationships. Even though my film career is young, I have already gained a tremendous amount of experience including filming in Uganda for TK Maxx on their Comic Relief campaign. This opportunity was life changing and gave me a fantastic insight into film and humanity, which has made me even more determined to succeed. 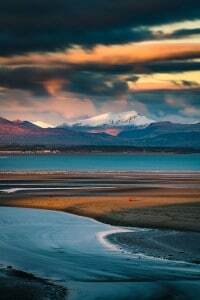 John is one of the Senior Photographers here at Abersoch Life with a fantastic reputation for stunning shots of his adopted home. 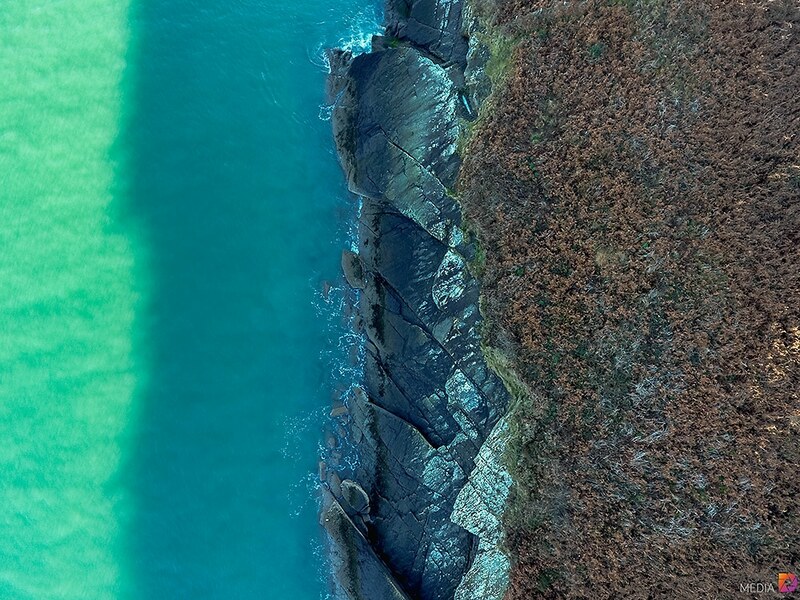 Operating out of Totally Abersoch, the superb photography gallery and coastal gifts studio (just outside the village on Lon Sarn Bach) he shares with his wife Amanda, John provides a comprehensive photography service, as much in demand for the high quality canvas prints of his local shots as he is for commercial and social work. 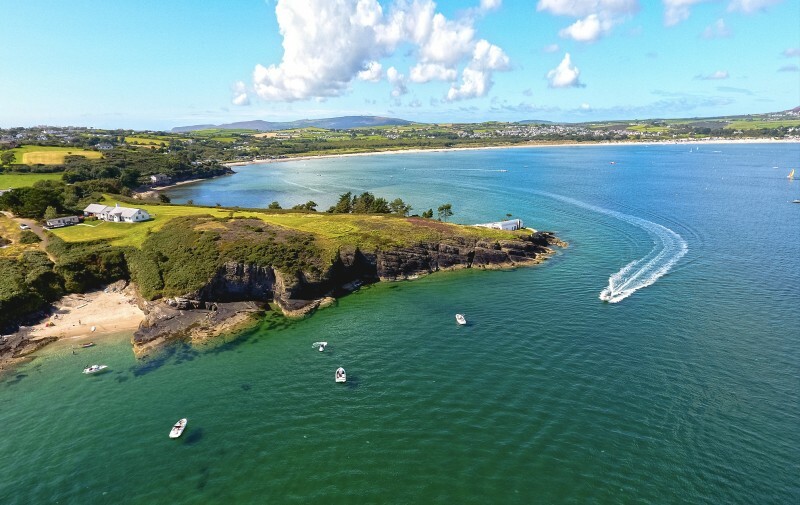 John and Amanda had been coming to Abersoch for over forty years when in 2002 he had the opportunity to move here, something he had always dreamt of. He had never really been into photography and hadn’t owned a camera since he was a kid because he was just too impatient to wait for his films to be developed! But the combination of the inspirational backdrop of Abersoch and the arrival of digital photography changed his life forever. 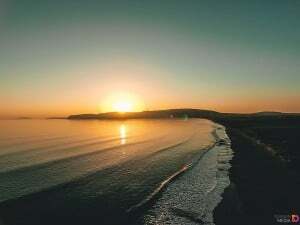 Dazzled by the quality of light in this part of the world, rather than keep telling everybody back in Manchester how great the sunrise was and how big and spectacular the waves were in Porth Ceiriad, he decided to buy a camera so he could show them. The results were breathtaking and in 2008 he and Amanda decided to open their Gallery and Seaside Emporium – the legend that is Totally Abersoch was born! Porth Ceiriad the day after the annual surf competition October 2006,which had really poor waves. What a difference 24 hour makes. 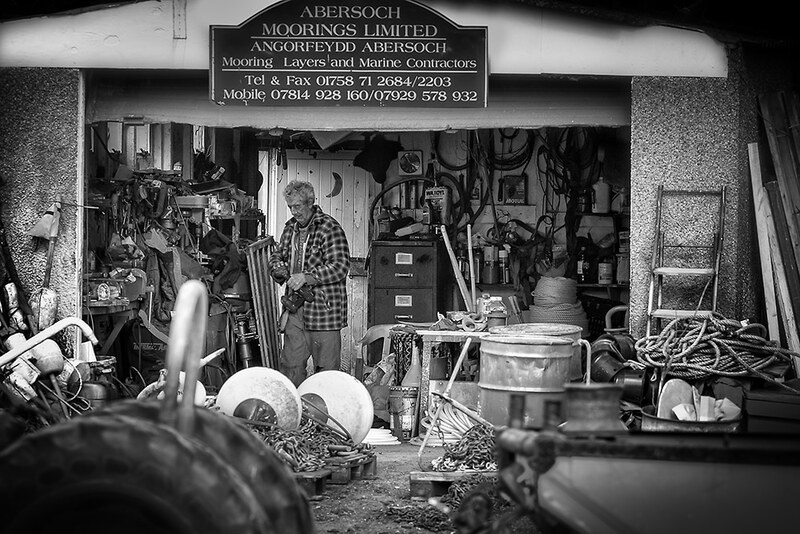 Merion Lloyd Jones taken April 2014 working his last day before ‘retirement’ – I love all the organised chaos of his workshop and the character of the Abersoch Moorings sign. 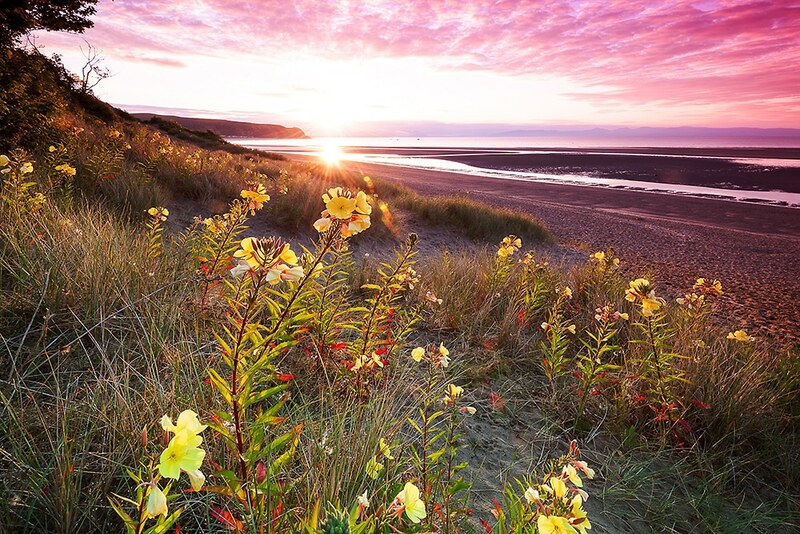 Evening Primrose taken June 2014 at sunrise on Fach Farm beach. I love these flowers, they look great in the sand dunes but I’d never got a shot of them that I liked so I was delighted with this shot. “Being outdoors is a big passion of mine and photography goes hand in hand with that! 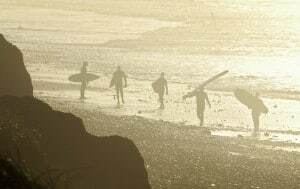 From the rugged coast to the rolling hills and the awesome mountains I have it all on my doorstep, so can often be found in the water or up a mountain. 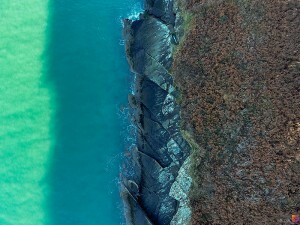 Growing up on the Llyn Peninsula I spent most of my time in the water. Cold winter mornings or warm summer evenings there is nothing quite like it! Pen Yr Ole Wen – this was one of the best sunrises I have seen. A temperature inversion meant the valley was filled with cloud but the peaks were clear. 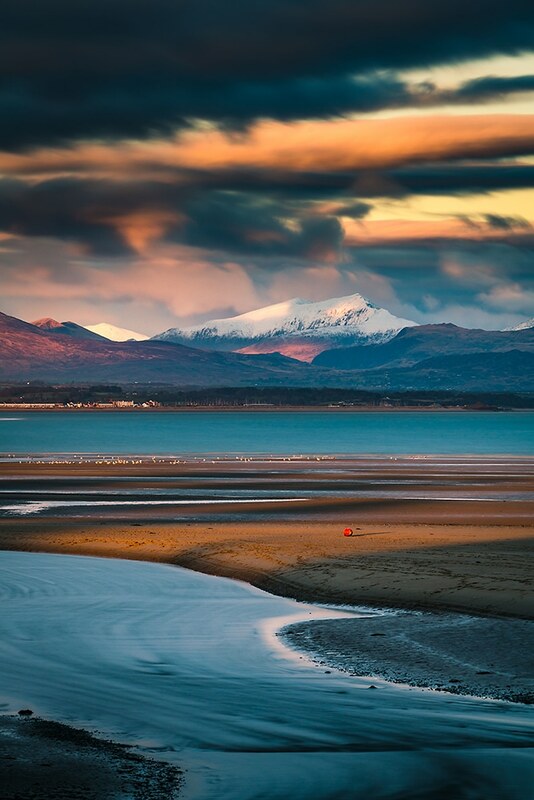 Snowdon from Abersoch – after a wild and windy day the clouds finally parted to reveal this classic view of a snow capped Snowdon from Abersoch Harbour. The Milky Way Tree – a lucky shot of a meteor and the Milky Way. 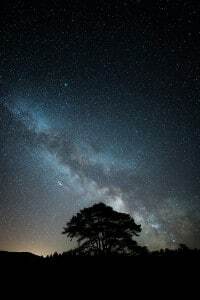 Snowdonia National Park is an International Dark Sky Reserve, only the tenth place in the world to gain this status! 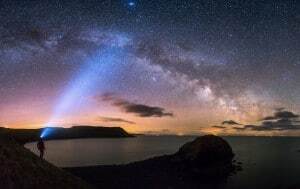 Porth Ysgo Milky Way – watching the Galactic Core of the Milky Way rise out of the ocean. 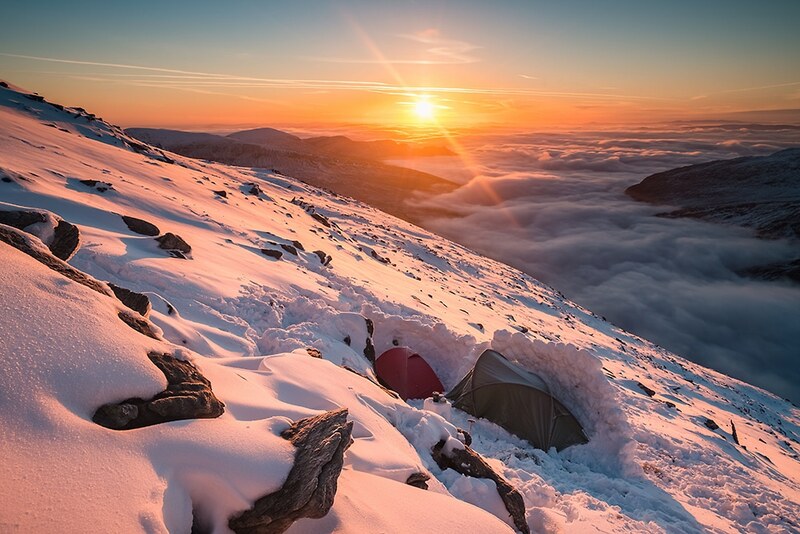 Can you spot my tent? “Originally from the Wirral and working in Chester I moved to Abersoch for a summer season in 2003, there was just enough work around that winter so I stayed and passed the quiet times with surfing and learning photography. Day job for me is running the kitchen at Zinc this doesn’t leave an awful lot of free time for photography but sometimes I get lucky. I’ll carry a lot of my equipment with me and having all the beaches on your doorstep means if the opportunity is there, I’m good to go. A lot of my shots are taken during the night. Stopping off on the way home from work or in between shifts for any good sunsets, clear skies or a moon rise over the bay. 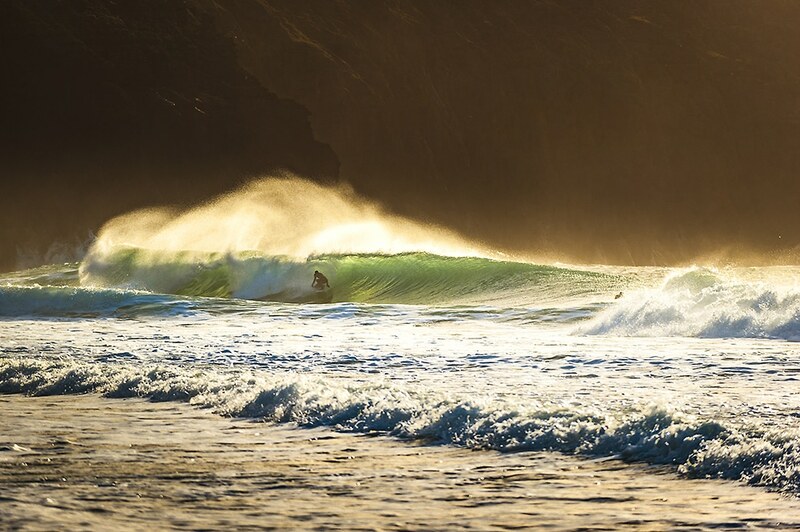 Look out for ‘Behind the Lens Abersoch Photographers Part II’ to follow, featuring local legend Martin Turtle plus Dave Custance, Andy Green, the much-loved Spout from West Coast Surf and a couple of surprises from the local photography scene!